At Cielo Spa Boutique, there’s nothing we love more than a great line of products that not only enhances relaxation and wellness, but also does so in a way that is good for your body and the planet! That’s why we are excited to announce that the we are now carrying a new skincare line, Eve Taylor, at the spa! This product line uses recyclable packaging, has never tested any products on animals, is Paraben-free, and is manufactured in small batches to preserve purity and freshness … plus so much more! What’s not to love? Cielo Spa Boutique owner, Roxanne, says that she loves the products – they are already a hit in the spa. 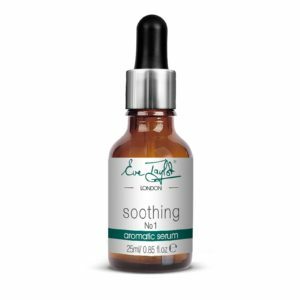 The Soothing Aromatic Serum (No 1) is her absolute favorite and is amazing at tackling sensitive skin issues. We’ve all been there: sensitive, red skin that won’t seem to calm down. This serum is the perfect remedy for all skin types, but especially those of us with sensitive skin or allergies. The unique blend of essential oils calm and cool the redness in the skin, while the aroma plays double duty and soothes sensitive sinuses. All it takes is three drops, follow by a suitable toner and moisturizer, to activate powerful oxygenation of the tissues and calming of the senses. Another favorite is this amazing diffuser! Of course, we believe in the power of rest and relaxation, and this diffuser blend is the perfect nuanced mix to gently unwind the senses. We have been using this in our lobby and people are LOVING it!! 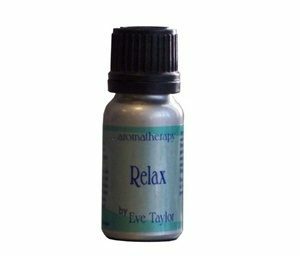 With warm earthy aromas of Egyptian Geranium, sweet Indonesian Patchouli, hints of ripened Italian Mandarin, and smooth Bulgarian Lavender, this blend will work to lift daily body stress and tension, easing your body and mind. It is no wonder it’s the number one selling blend in 44 countries! Don’t just take our word for it. Try the products for yourself. Let us know when you want to come by Cielo Spa Boutique and try these products for yourself!